The 24-nation alliance known as OPEC+ that formed two years ago has just started another round of output curbs to prevent a supply glut. OPEC’s top official urged countries in the group and its allies to follow through on their pledges to cut oil production and keep global markets balanced. 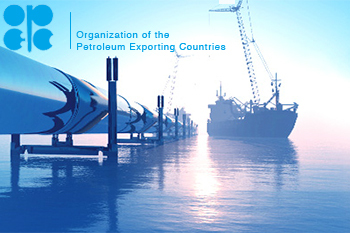 While the Organization of Petroleum Exporting Countries collectively made a strong start last month to a new round of output cuts, much of this was due to extra effort by the biggest member, Saudi Arabia. Several other OPEC nations, as well as some partners outside the group like Russia and Kazakhstan, lagged in their delivery. The 24-nation alliance known as OPEC+ that formed two years ago has just started another round of output curbs to prevent a supply glut. While the initial phase of their accord that began in 2017 was a success, ending the worst oil industry downturn in a generation, their latest effort hasn’t yet delivered a full recovery in prices. Crude remains about 28% below its October level as a global economic slowdown saps demand while booming shale-oil output pushes US production to new records. Prices climbed more than 2% in London on Tuesday after OPEC data showed it made a strong start to the cuts and Saudi Energy Minister Khalid Al-Falih told the Financial Times the kingdom would cut even deeper. Russia, the biggest non-OPEC producer in the alliance, pushed back the schedule for full implementation of its cutback by a month, without giving any explanation. Russia’s target won’t be reached until May, Energy Minister Alexander Novak said on February 4, having previously said this would be achieved within the first quarter. Speaking in the Russian city of Kazan late on Tuesday, Novak gave no indication Russia would yield to pressure and up the pace. Cuts in February will be at a similar rate as last month, bringing the reduction to between 90,000 and 100,000 barrels a day below the October benchmark. “We’re doing our best to reach those levels as soon as possible,” he said. Kazakhstan, another nation in the coalition, said that it actually increased production in January rather than trying to cut back. The country has shown little regard for its obligations under the pact, having boosted output substantially over the past two years instead of cutting. Russia has also appeared to waver in its long-term commitment to the partnership. While representatives of the countries in the pact are due to meet this month to discuss a long-term, formal framework for the alliance, Russia has recently downplayed the prospects of such an agreement. There are “no substantial discussions” of formalizing co-operation between OPEC and Russia, Dmitry Peskov, spokesman for President Vladimir Putin, said Tuesday. Barkindo expressed confidence that the group will keep working toward its goal.